Horror movies are great because once they end, that’s it. The credits start rolling, and the feelings of dread and fear that we get after watching the movie die down in a few hours – or days at most. There’s something worse out there, and that’s haunted places. If you’ve never had a paranormal experience, then consider yourself lucky because those are not fun whatsoever. However, what if we told you there’s something even worse than having a personal paranormal experience? What if, and this is all literal, we told you that there are places out there where people are too afraid to visit because they’re considered haunted? 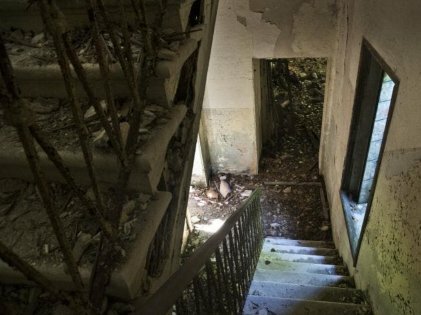 Where signs of ghosts or demons are rampant, and you know something is very, very wrong? 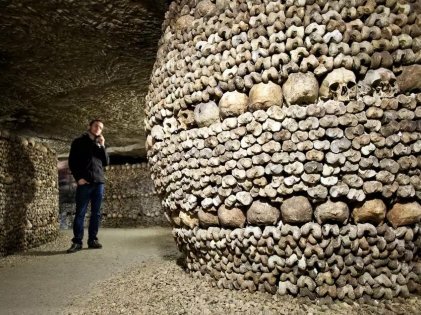 There are multiple horror movies based on this underground maze that exists under the city of Paris. These movies are the stuff of nightmares, and we can only imagine what sort of horrors await for anyone who is brave enough to explore it. The labyrinth is a wide connection of tunnels that stretch to over 320 kilometers and are mostly unexplored. It’s illegal to go there, but that doesn’t stop explorers from visiting the area. The worst part? 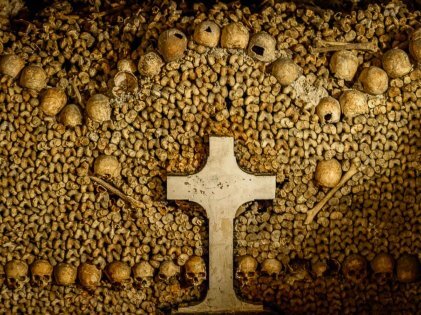 These catacombs have over 6 million bones of the dead, and as you walk through those tunnels, you’ll be able to see the skulls and various bones of those who have passed. This giant maze hasn’t been chartered because it’s an almost impossible task since there’s no light whatsoever down there, and some tunnels are too small to fit in while others have been caved in. The few explorers who do venture down there get hopelessly lost (which is why it’s illegal to go down there in the first place) and end up dying. There’s been some footage found from a camera that was dropped down there, and it showed a lost explorer trying to find his way out. All of a sudden, he got freaked out by something and started sprinting as he dropped his camera. What could have possibly scared him so much? We’d prefer not to know. Some things are best left undisturbed and buried deep beneath the earth. There are parts of the catacombs which are being used as resorts, meeting spots, and mushroom plantations, but why risk it when there’s plenty of space up here? 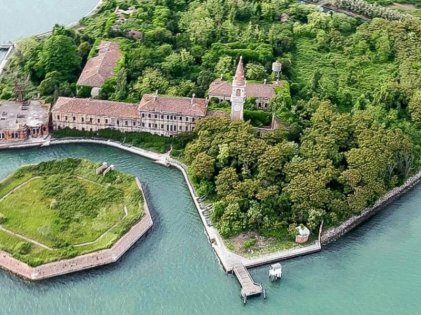 Another place that’s nothing short of scream-worthy — the Poveglia Island in Italy has been described as hell itself! This place has one of the darkest histories you’ll ever hear! It’s actually got two disturbing stories associated with the place, and each one will make you want to steer clear of that place as if your life depended on it! First off, this island was the go-to place for all the people suffering from the bubonic plague back when it first hit Europe. There weren’t any cures back then, and all that could be done was to ferry them over to this island where they’d be left to die. A few centuries later, this place had a mental asylum with a head doctor who was a complete madman. He’d perform all sorts of experiments on his patients here, and since there were no checks on the asylum, he got away with whatever evils he did. He eventually committed suicide by jumping down the asylum’s tower. The building was converted into a hospital but had been abandoned due to unknown reasons, and the government has banned tourists from going there which leads us to think that something’s out there on that island! What makes matters worse is that even the locals avoid the place, saying it’s cursed! The world’s a huge place with many places to explore, and most of them aren’t haunted. That’s where you should be headed if you have free time on your hands!